The short answer is that it depends on the type of program you run, frequency/volume of production, your ideal student to equipment ratio, and how rough students are when using the equipment. And it depends on how much money you’ve got and how consistent that funding is from year to year. Budgets can be broken into two main areas: long-term (multi-year costs incurred once every several years) and short-term (annual, ongoing costs). Depending on your funding, you might need to save up to make big purchases every five or six years. Mustang Morning News Producer Claire Hunt prepares video packages for playback. Capital purchases (studio equipment, computers & hard drives, cameras & accessories, audio gear & accessories, AV connectors and adapters, etc.). These are big expenses, but the heart of any broadcast program. Software (video and audio editing, graphics, etc.) Ideally, this should to be updated every 3-4 years. Repairs. 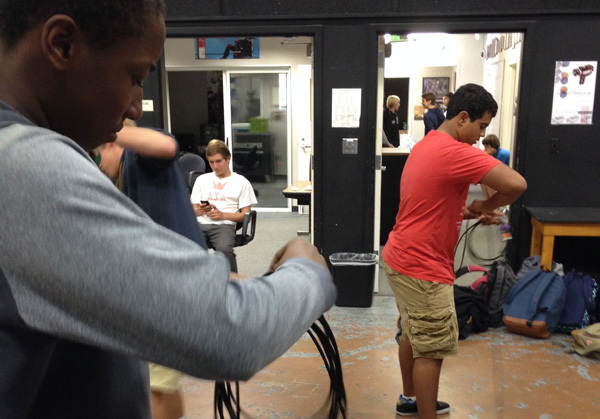 Varies depending on quality and age of your gear, and how hard your students are on them. What do you absolutely need now, and what can you do without? Develop a cocktail of high quality gear with cheaper, “disposable” items that aren’t as critical. For example, you need to rely on a high quality video switcher for live newscasts, but can skimp on microphones for field recordings. Save the cranes and green screen for your wishlist or lottery winnings. If you’re just starting a program, begin with the spine of your infrastructure, and flesh it out over several years as you get more funding. Consider beginning with an online-only newscast, then expand to a live show with a set once you have money for all of the studio equipment. Figure out a work rotation with your crew to share gear so you can survive with three or four cameras and spend the rest of your money on editing stations and microphones. Try to get funding from other sources to cover items like computers and other infrastructure not specific to your class. The computer science teacher doesn’t have to fundraise to buy their computers, and neither should you. Share site licenses with other journalism or art classes for software like Photoshop. Replace equipment on a rolling basis so you don’t have a giant bill each time you replace an entire computer lab or all of your cameras at once. I try to replace 3-4 edit suites each year so that no computer is older than 4 years when it’s replaced. Spend the time to train your students on the proper use of your equipment. I take at least two full days teaching students how to wrap audio cables, and make them pass a timed test to set up and strike a camera kit. This ensures that they know how to use the equipment and they’re less likely to break it. to prevent damage–and added expenses to your budget. An argument for Professional or “Pro-sumer” equipment. If you can afford it, buy it. Pro gear lasts longer and is less likely to break, so your repair budget will be smaller, and there is less down time when cheaper gear is in the shop being fixed. But the equipment costs much more up front. I’ve purchased pro cameras that lasted over 12 years, so I felt the investment was worth it. Here are some ideas for how to choose a video camera. Don’t be daunted if you’ve only got a shoestring budget to work with. 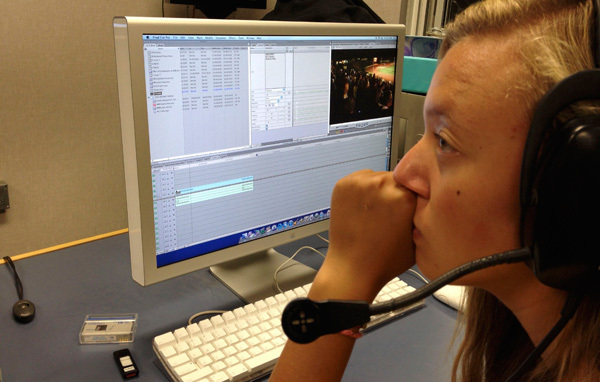 If you don’t have a small fortune to spend on professional gear or even a few computers for editing, there are still some great options for running a broadcast journalism program on a budget. What are your ideas for budgeting for a broadcast program? Share your tips in the comments below. ← We’re looking for judges for online and broadcast/video contests. Would you like to help?